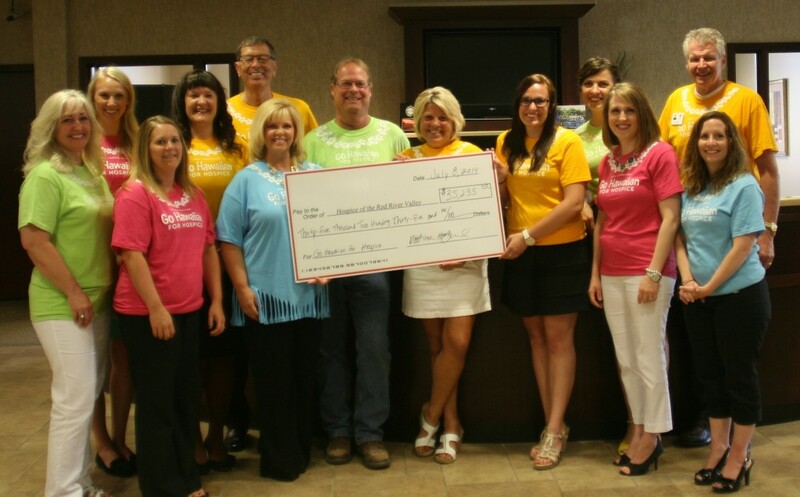 Choice Financial’s Go Hawaiian for Hospice lunch fundraiser, held July 1 in Fargo, generated more than $35,000 for Hospice of the Red River Valley (HRRV). Attendees of the luau-style lunch enjoyed roast pig, french fries, fresh pineapple, Hawaiian Punch and a frozen treat. Audra Mari, Miss North Dakota USA 2014, and Josie Hettich, Miss North Dakota Teen USA 2014, were special guests at the event that also featured live music, prize drawings and a memorial wall where guests were invited to remember their loved ones. Attendance was estimated at 800 people. Go Hawaiian for Hospice is an annual event. 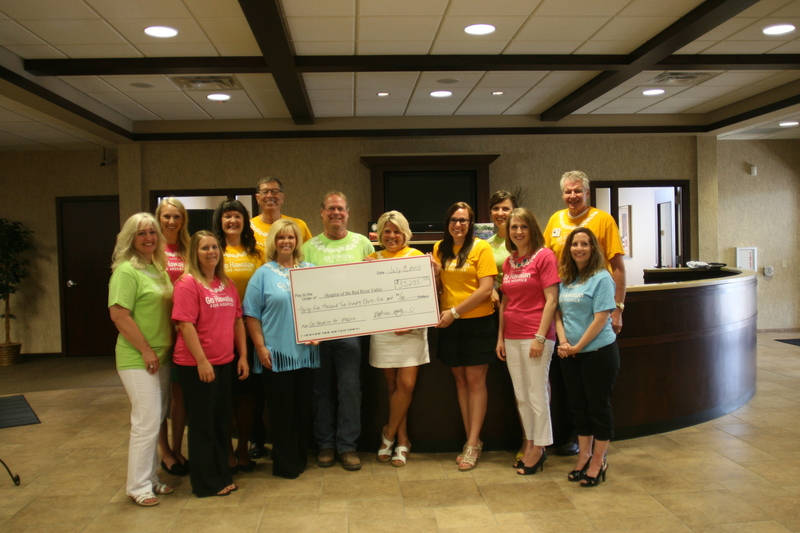 Choice Financial is a premier choice for financial solutions with 14 full-service banking locations and one loan production office in North Dakota, and one full-service banking location in Minnesota. The bank was recently named the top performing community bank by SNL Financial, and is proud to hold the #1 position out of 784 community banks eligible. The designation is based on performance criteria for banks with assets between $500 million and $5 billion.